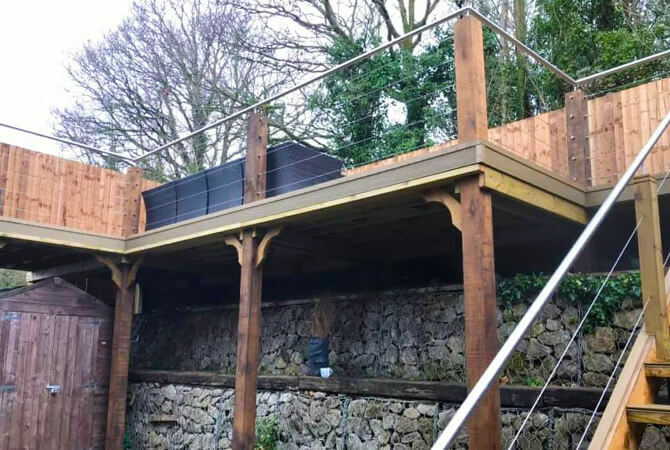 Amazing elevated decking area installation by UK Decking and Fencing, using our stainless steel wire balustrade and tubular handrail combined with top mount handrail supports. The elevated decking area has helped to not only save space in this garden, but is also positioned for maximum daylight. 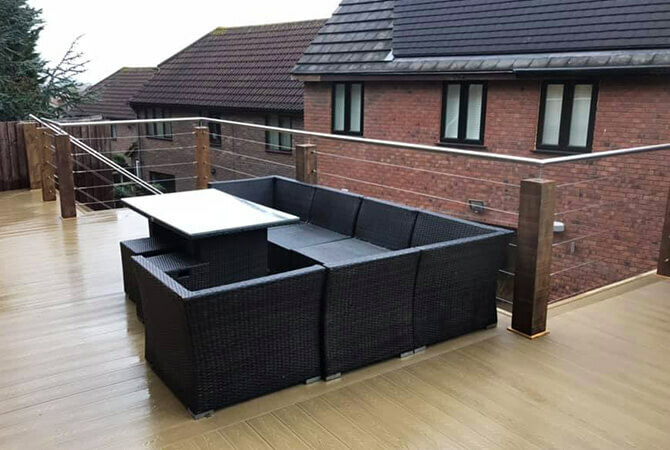 The wire balustrade infill provides a stylish and unobtrusive safety feature, that is hard-wearing and easy to maintain. 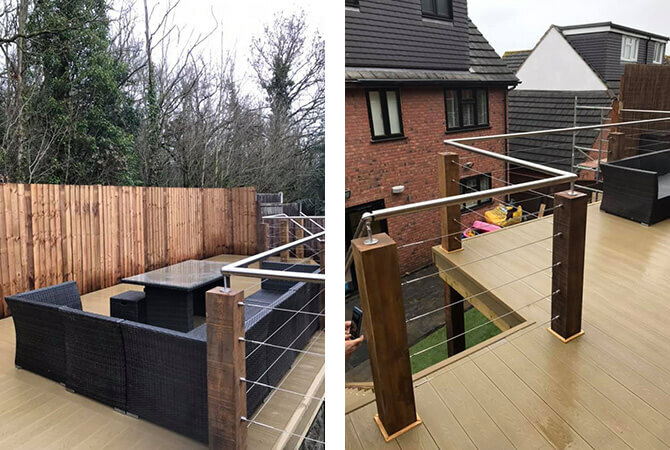 We love the super chunky timber supports combined with our stainless steel wire balustrade and topped with stainless steel handrail - looks fantastic! 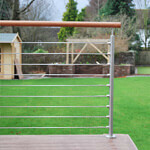 Uk Decking and Fencing are based in Harlow and Dunmow, Essex and specialise in garden re-design.